“Cave Rescue Bulgaria” is an independent non-government organization, which is a member of the Bulgarian Federation of Speleology (BFSp) and operates together with it. Almost all of the cave rescuers are active cavers, members of caving clubs and the BFSp. The main mission of Cave Rescue Bulgaria is to perform rescue operations in caves, tight spaces, canyons and in other situations requiring specific skills. It also cooperates with organizations like the Civil and Fire Protection, Mountain rescue, etc., when there is a specific need. The official cave rescue is established in 1974 as a part of the BFSp, although smaller decentralized teams date back to 1964. Currently, the organization has approximately 65 active rescuers and 5 medical staff. All of them are volunteers. There are over known 6000 caves of varying length, depth and difficulty in Bulgaria. There are 6 labyrinth caves over 5km in length, with “Duhlata” being the longest one – about 20km. The 5 deepest caves range from -300m to -387m. While not very deep, many Bulgarian caves present serious challenges to a rescue operation in the form of narrow crawlways, meanders and watery passages, small hard to access pits, etc. 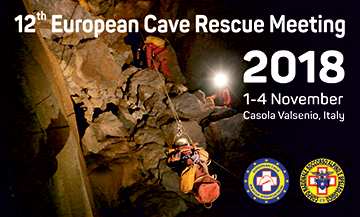 Each year the cave rescue organizes several trainings in different parts of the country. Those are focused on popular caves where there is a higher chance of an accident, or on caves which are technically more difficult.